So apparently belated event write-ups are my thing at the moment; opinion pieces are delayed due to a temporary shortage of brain crew. I was pretty excited about the Parallel Worlds games event at the Victoria & Albert Museum, and I’m pleased to report that it was just as good as I’d hoped. 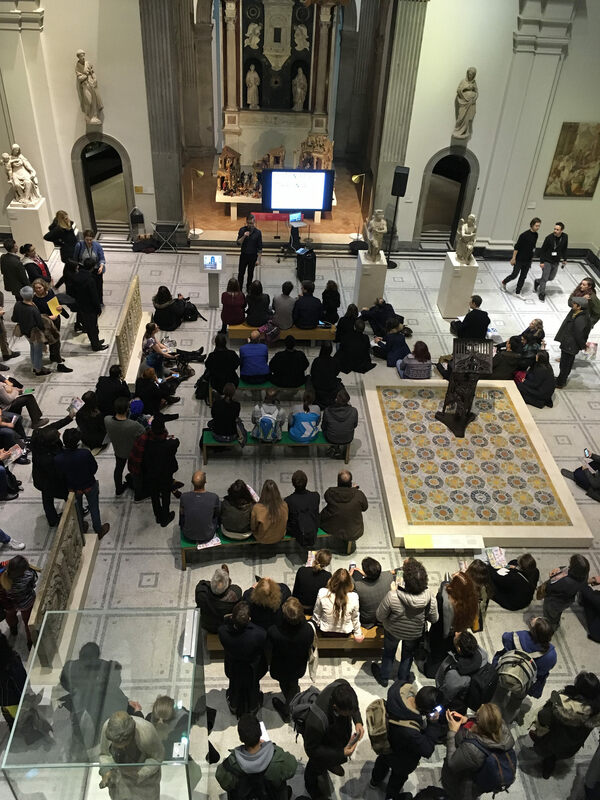 Organised by the V&A’s Curator of Videogames—and how cool is it that such a role exists?—the Wild Rumpus’s Marie Foulston, it was pretty much guaranteed to be a forward-thinking and interesting event. The talks were divvied up into four sessions—Brave New Worlds, Playing With History, The Realities of Virtual Reality, and Augmenting Reality—with two main speakers and a panel led by a moderator for each. 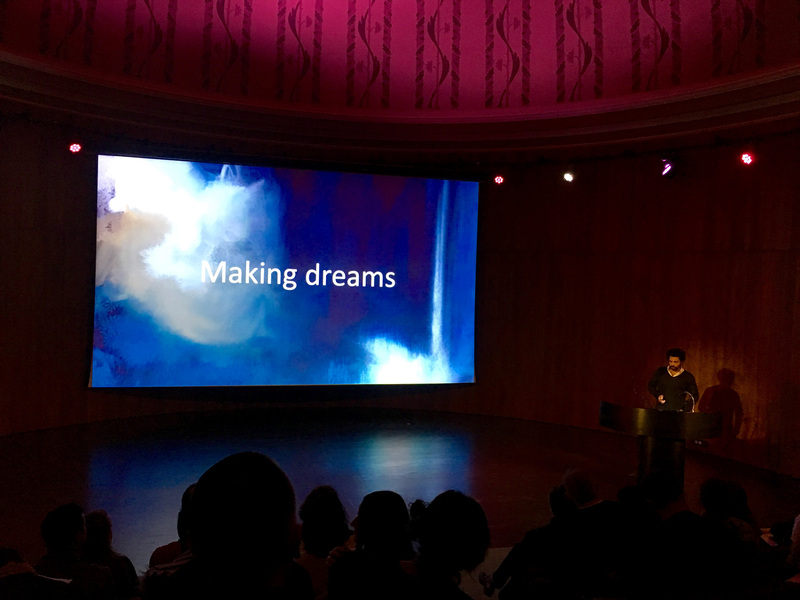 Kareem Ettouney from Media Molecule demonstrated Dreams, a tool for creating more organic 3D art and environments than we’re perhaps used to seeing in VR, a medium he suggests ‘is more associated with precision’. The Playing with History session, with Holly Nielsen moderating, was generally excellent though I particularly enjoyed Meg Jayanth‘s talk on 80 Days, which continues to be one of my favourite games. Meg, ever the captivating speaker, made the point that making a historically accurate game does not excuse you from commenting on historic moral inadequacies (e.g. racism, slavery, sexism, etc.). I wasn’t sure what to expect from the Augmented Reality session, given that I have some issues with the sort of games/experiences labelled as AR, but I enjoyed it very much indeed. 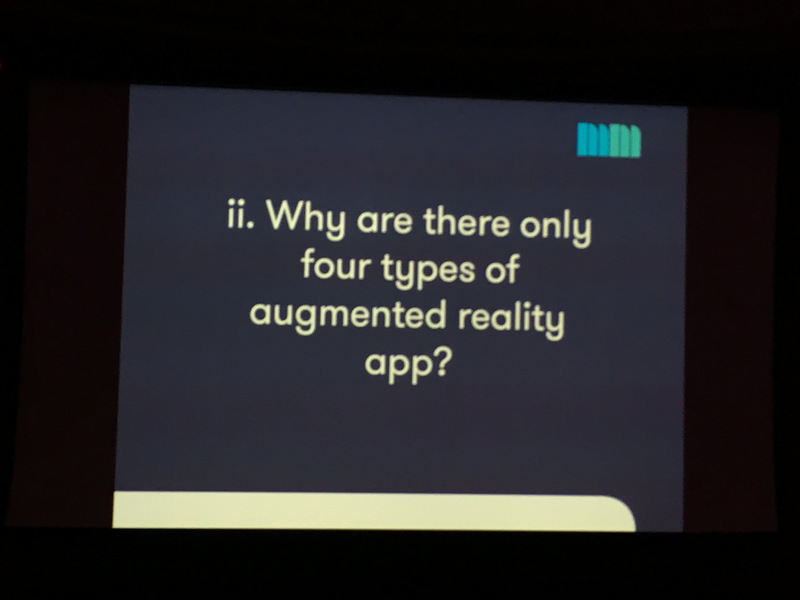 This may be because Holly Gramazio opened her talk with a slide that said “Why is all augmented reality so terrible?” (which spoke to me on a spiritual level) and proceeded to provide a kind of scathing catharsis whilst shaking up my opinions on AR into something more positive. Holly talked about perceptions of AR, about digital vs. non-digital, about what AR really is, and about how “maybe the problem isn’t the thing, it’s the words.” This was great. It’s unfortunately rare that I actually find my opinions or perceptions radically changed by a 20 minute lecture, but Holly managed it. So, the talks were great, and delivered by a good variety of speakers. The audience also seemed pleasantly diverse in background; I knew a fair few people there including academics, game designers (of many varieties), journalists, and the odd museum person. It’s brilliant that a games event like this can appeal to such a broad audience, and great that it was held at a national museum without being explicitly about museums (but that’s a thought for another day). The end of the talks was not the end of the day, though, as we segued nicely into the VR-themed V&A Late. I wasn’t able to stay for too much of this and was waylaid by conversations, but the variety of activities available really was excellent; RPGs, talks, VR games utilising biofeedback (STRATA) and a swing (Oscillate), ‘arcade’ games, and much more besides. I often get lost in the V&A but it didn’t matter as there was cool games stuff round every corner. 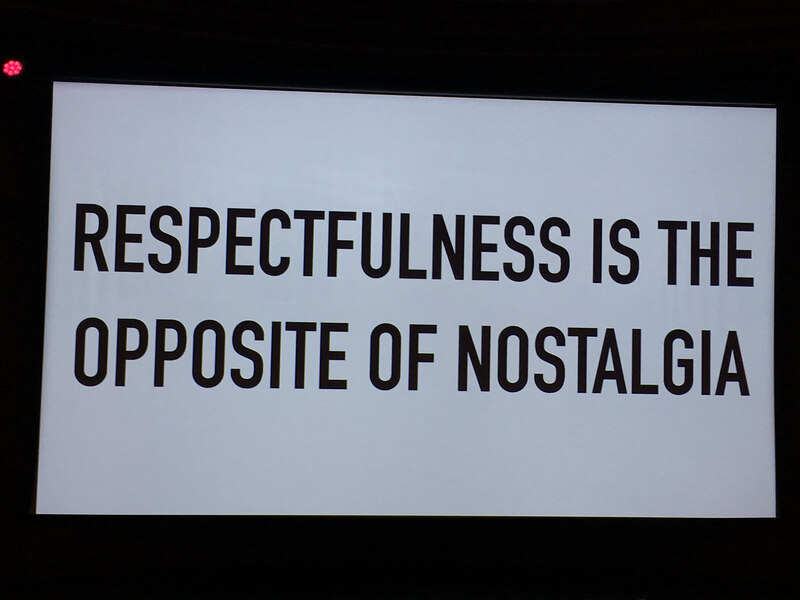 Rob Morgan‘s talk on his work with AR (Playlines) was a useful blend of insights into the practicalities and narrative approaches to AR, and I was sorry I could not stay for Holly Nielsen’s talk on history in games, which I’m told was great. It was particularly brilliant to see the games made in Code Liberation (a workshop series aiming to teach women, nonbinary, femme, and girl-identifying individuals how to make games in Unity) taking pride of place in the entrance hall; I’ve benefitted hugely from the similar Make Play Code and it’s wonderful that such work can be showcased so publicly and in the same esteemed space as more traditional works of art. All in all, the whole day seemed like a great success from my attendee viewpoint. Kudos to the organisers at the V&A. I hope the museum continues its work with games, and that other cultural institutions can follow its enthusiastic example. Find my Tweets from the day on Storify. Find my unrefined pictures of the day on Flickr.